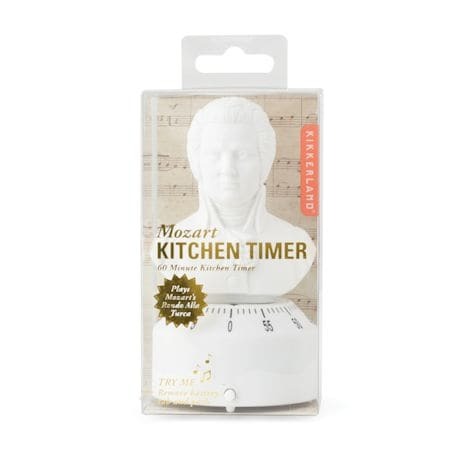 Serenade the end of a precise cooking process with masterworks from Mozart or Beethoven, automatically playing when the timer ends. 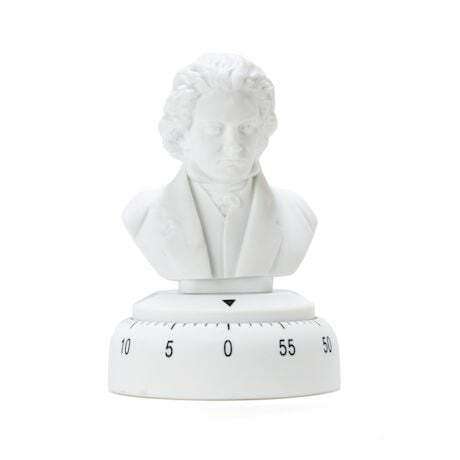 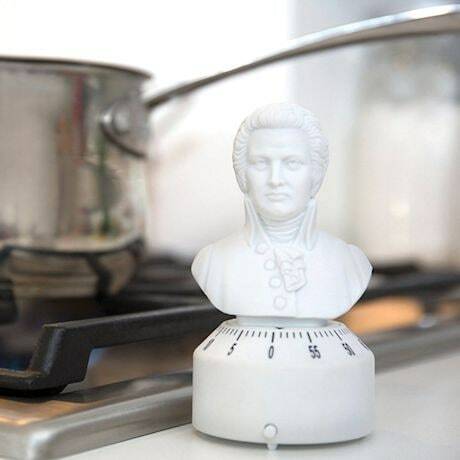 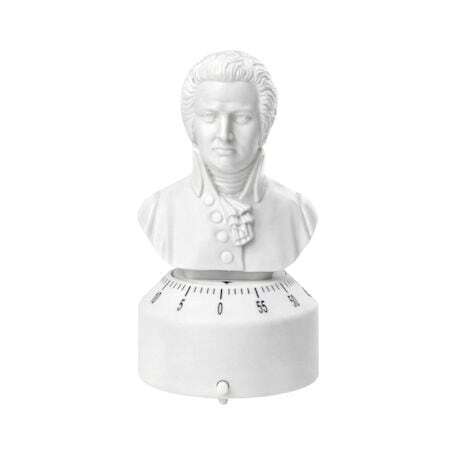 A hilarious add to a music-lover's kitchen; sturdy wipe-clean plastic busts are 5¼"H. Mozart plays Rondo Alla Turca; Beethoven plays "Fur Elise". 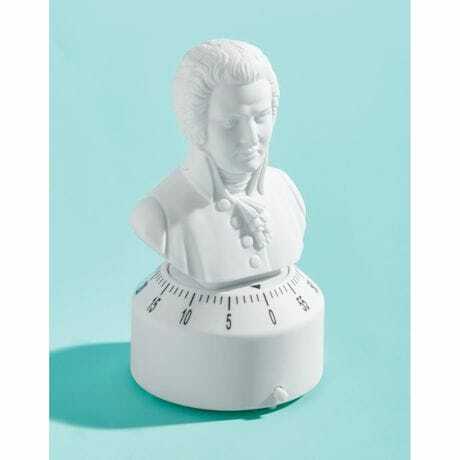 Specify Beethoven or Mozart.